Deciphering Morgan: What is being taught? Woah. I've never seen the FUA thing. And it took me your explanation to understand what it meant. And now I sit here looking inward. It's super easy to judge that bumper sticker, out there for the world to see. I need to make sure that I am not projecting that on my kiddos. Thanks for the shake up this morning. Thank you for this. Just...yeah. Thanks. I think that regardless of how you resolve it (where "it" = whatever child-related/parenting issue might be rearing its ugly head)...if you approach it from a place of love and respect, then the resolution has to be the right for your kid. 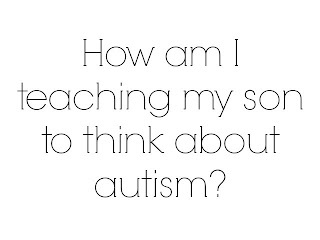 It's difficult for me to see how FUA is approaching the challenges of autism from a loving respectful place, especially as framed by your post. Seems like you're doing good. I have been thinking long and hard these days now that I am passed the initial confusion of the diagnosis and what it means. 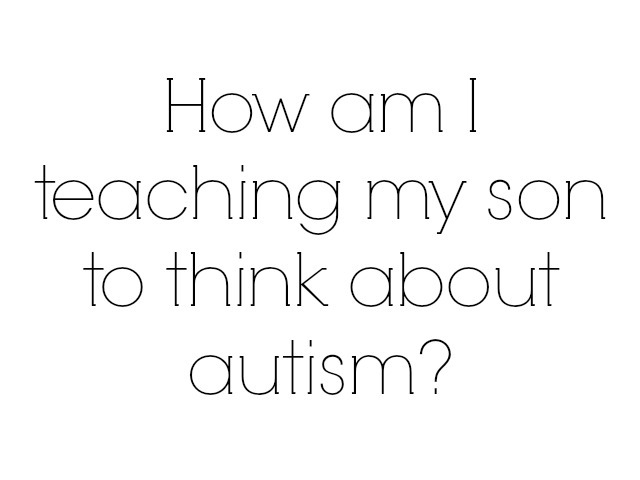 My mind is starting to change quite a lot about what autism is, how I feel about it etc. I used to look at it as if it were similar to my anxiety and depression. I see now how so much of my initial responses aren't the ones I want to hang on to. This post, and others like it, have really helped me stand back and approach things differently. Thank you for writing and sharing.